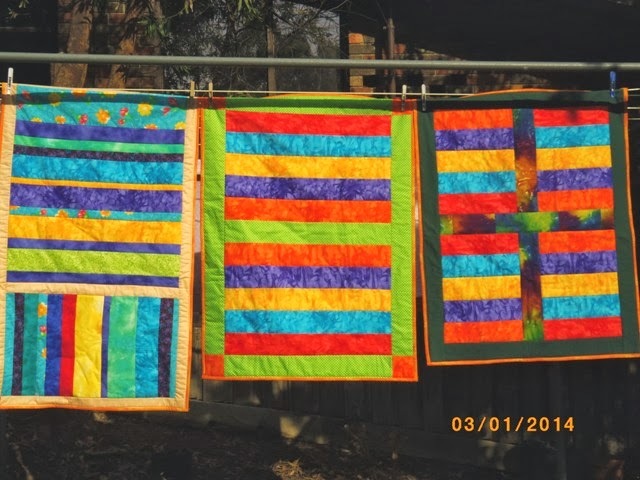 Patea PNG Quilt Collective: March 1st. Three quilts finished today. My friend Cheryl in Hurstbridge, Vic. 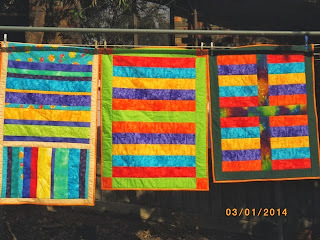 made these three colourful quilts last year, but couldn't finish them because her sewing machine broke down. All I had to do was quilt and bind them, and I finally finished them today! Thanks for doing the first and most important bits, Cheryl!